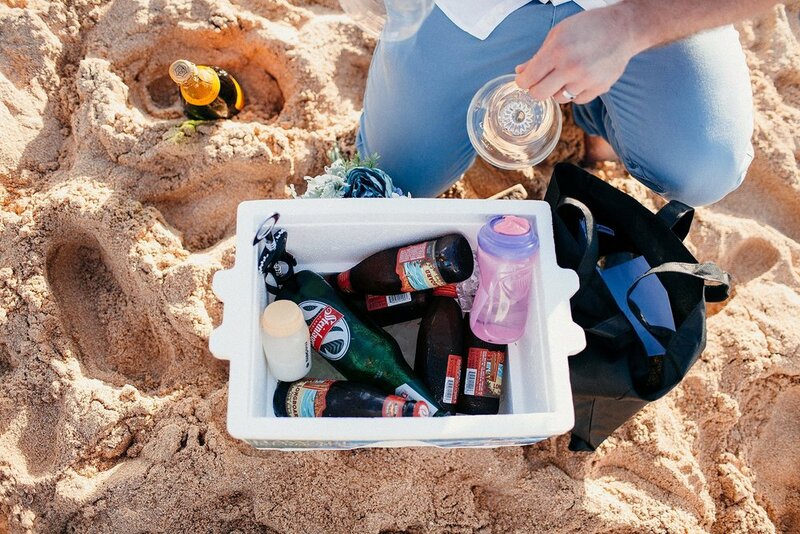 Anna and Ben eloped from Australia to Oahu over Christmas with their two sweet kids in tow. 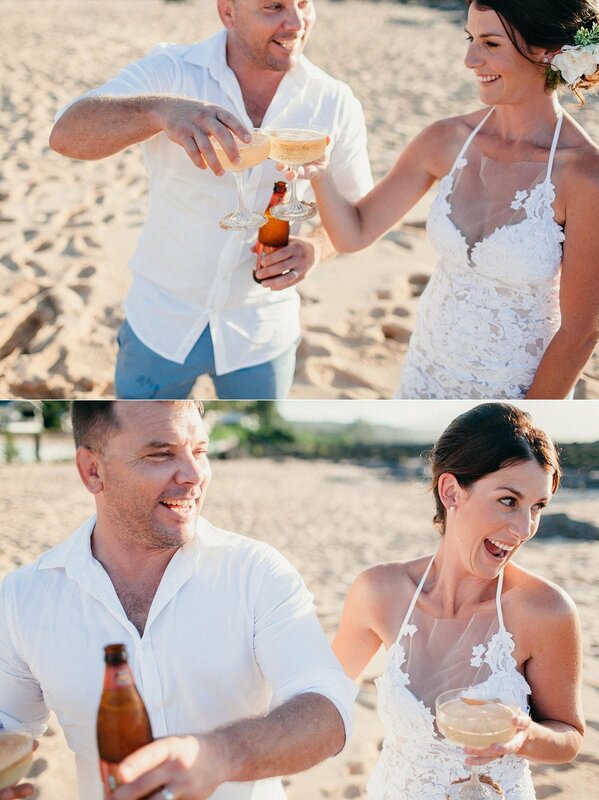 During their small ceremony outside their condo at Keiki Beach Bungalows, their son Benson ate his weight in sand and after celebratory champagne, their daughter Lola decided Mum needed to take her to the restroom, now. 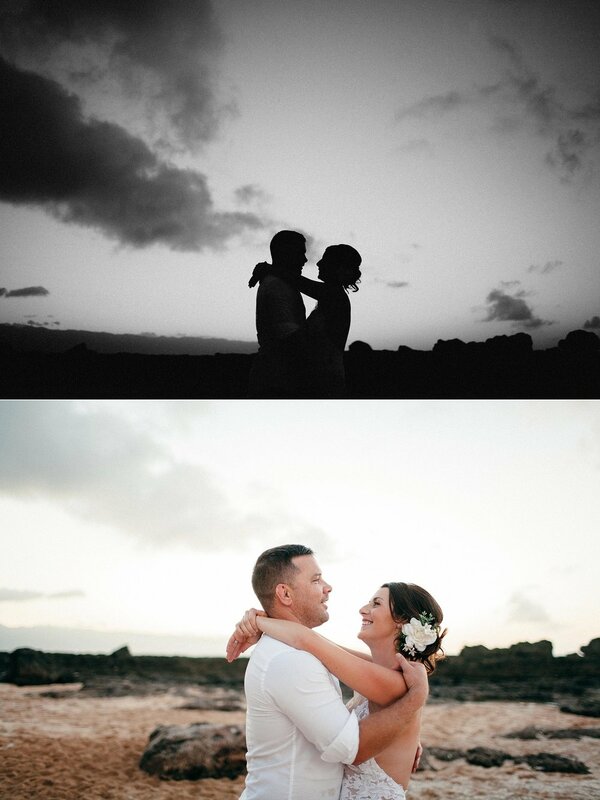 Anna & Ben didn’t get worked up over the “problems” most people would, but had a day true to themselves and were sure to get photographs to show their kids someday what happened at their Christmas elopement to Hawaii. A&B just laughed these interruptions off and said the day was exactly what they wanted - celebrating their marriage as a family of four. They had dreamed of including their kids in this commitment so that someday, when everyone is a little older, Lola and Benson will be able to look back at these photos and see they were a part of it all along.